No one knows Edinburgh quite like the locals do, so take it from us, we’ve got the best tips for making the most of your stay in the capital. Whilst the view of Edinburgh from the castle is great, a view with the castle in it is even better. For the most energetic among you, a climb up Arthur’s Seat in Holyrood Park will undoubtedly give you spectacular views. Alternatively a climb up Calton Hill will give you brilliant views of the castle along Princes Street. If you’re not feeling quite so energetic then make your way to the National Museum of Scotland on Chambers Street and head to the rooftop garden where you can almost reach out and touch the castle! Edinburgh is the UK’s greenest city so make the most of the wonderful parks on offer. Not to be missed are the Princes Street Gardens. Sitting in the old moat of the castle, the gardens offer an escape from busy Princes Street as well as a spectacular view of the castle. The gardens even feature their own bear! To make the most of your time in the city, our best advice is to plan ahead. If checking off the top tourist attractions is your priority then buying a Royal Edinburgh ticket in advance is a must. Included in the ticket is entry to the Edinburgh Castle, The Royal Yacht Britannia, Palace of Holyrood House and Edinburgh Bus Tours. We can sort one out for you, just let our team know and we’ll have the tickets ready for you on arrival. Scotland is typically known for its weather, not exactly the warmest of places but it is known for surprising its residents with all seasons in one day. So be prepared and follow our advice: bring your rain jacket or buy yourself a poncho! Edinburgh is a very pedestrian friendly city but it can be easy to get lost. Make yourself familiar with where your hotel or apartment is and the bus routes nearby so that you will always find your way home. All our apartments with our sister company, Destination Edinburgh Apartments have maps available for guests so make sure to take one with you when you go exploring. There is no shortage of delightful places to have brunch in the city, take advantage of Southpour, next door to our Southside apartments and receive 20% off when you show your apartment key or a Destination Edinburgh Apartments business card. Book your trip through Glory Days ! If you weren’t convinced already, then get booked in with us to explore Edinburgh, see the Royal Edinburgh Military Tattoo and stay in our sister apartments with Destination Edinburgh Apartments in either our Rodney Street, Southside or York Place apartments. All are self-catering apartments, they give you the freedom to make your stay your own. Our Rodney Street apartments come with a free parking space and the views from our York Place apartments are not to be missed. AND if you book directly with us then you’ll receive a free gift! We look forward to welcoming you soon. We are delighted to announce the news that our sister company Destination Edinburgh Apartments has been awarded a Certificate of Excellence by Trip Advisor. This is the highest honour for any business which is on Trip Advisor. Signifying the high standard and quality of service provided for our customers. If you are planning a visit to Edinburgh why not stay at our apartments, book direct for best price guaranteed and a free gift! As a travel trade partner of the Royal Edinburgh Military Tattoo, we wish them a fun and successful visit down under. Our sister company in Australia have clients at the Melbourne event which we are sure will be spectacular. We know many of our contacts at the Tattoo office in Edinburgh are heading down under as well and we wish them a safe and enjoyable journey. Good luck for your shows in both Australia and New Zealand. For those of you that are attending this event, you are definitely in for a treat! Remember if you have any queries regarding our Tattoo Packages please do not hesitate to contact us. Our sister company Glory Days UK are proud sponsors of Edinburgh’s Hogmanay Festival Survey! http://www.glorydays.uk.com/ (Destination Edinburgh) run “Edinburgh’s Hogmanay Travel Office” and this year welcomed record numbers into the city. We are proud to sponsor the “Edinburgh’s Hogmanay Festival Survey” so that the event can continue to build on its fantastic reputation. Those that complete the survey will be entered into a prize-draw. They will have a chance to win our sponsored 1st prize for Hogmanay which includes 3 night accommodation in one of our one bed apartments. This is accompanied with VIP Passes for The Street Party. You’ve got to in it to win it! All businesses involved within the Glory Days Group are coordinated to ensure clients from all over the World enjoy Edinburgh and the rest of Scotland. Glory Days (Destination Edinburgh) create, sell and manage the travel programme. Glory Days Australia brings Australian and New Zealand clients to the event. 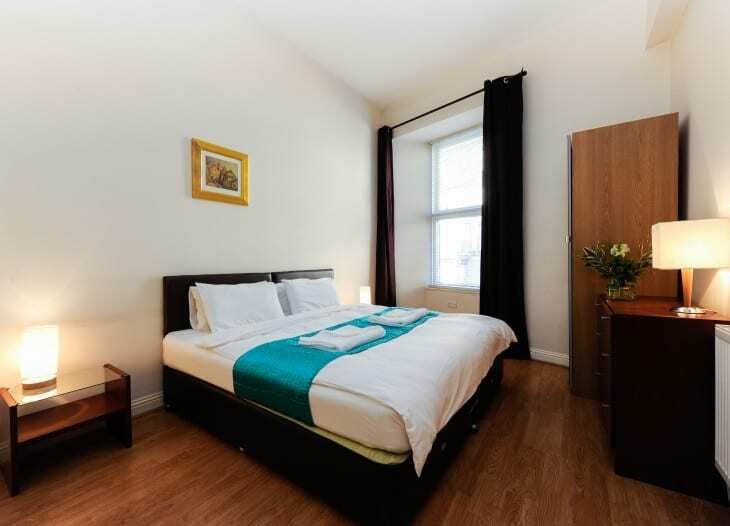 http://destinationedinburghapartments.co.uk/ provides self-catering apartments for travel programme and donated the survey prize. http://www.glorydaysmotorhomes.com/ allows clients to explore Scotland further. It is very much a team effort! We hope to see you here for Hogmanay 2016/17! https://www.glorydays.uk.com/wp-content/uploads/2018/07/glorydays-draft-logo.png 0 0 Natalia Jurcackova https://www.glorydays.uk.com/wp-content/uploads/2018/07/glorydays-draft-logo.png Natalia Jurcackova2016-02-03 14:52:452018-08-30 15:14:13Our sister company Glory Days UK are proud sponsors of Edinburgh's Hogmanay Festival Survey! 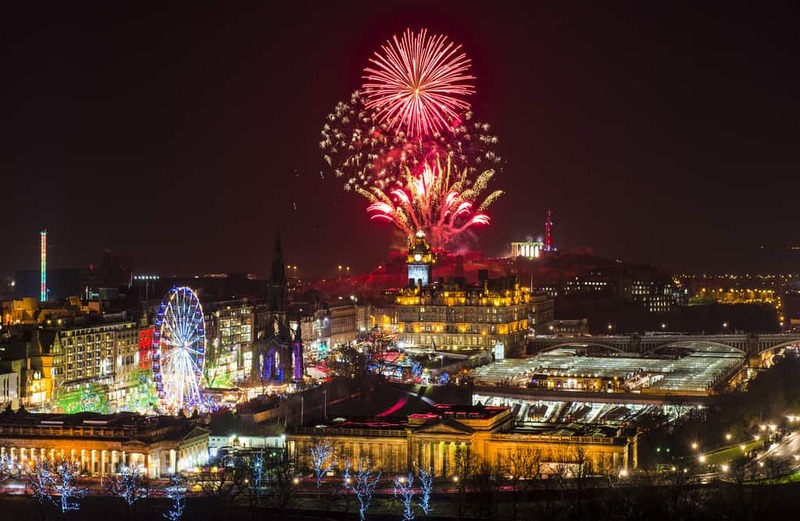 Glory Days proud to sponsor Edinburgh’s Hogmanay Festival Survey! Glory Days (Destination Edinburgh) run “Edinburgh’s Hogmanay Travel Office” and this year welcomed record numbers into the city. We are proud to sponsor the “Edinburgh’s Hogmanay Festival Survey” so that the event can continue to build on its fantastic reputation. Those that complete the survey will be entered into a prize-draw. They will have a chance to win our sponsored 1st prize for Hogmanay which includes 3 night accomodation in one of our one bed apartments. This is accompanied with VIP Passes for The Street Party. You’ve got to in it to win it! Glory Days Australia brings Australian and New Zealand clients to the event. Destination Edinburgh Apartments provides self-catering apartments for travel programme and donated the survey prize. Glory Days Motorhomes allows clients to explore Scotland further. It is very much a team effort! https://www.glorydays.uk.com/wp-content/uploads/2018/07/glorydays-draft-logo.png 0 0 Steven Horne https://www.glorydays.uk.com/wp-content/uploads/2018/07/glorydays-draft-logo.png Steven Horne2016-01-29 14:16:192018-08-30 15:14:17Glory Days proud to sponsor Edinburgh's Hogmanay Festival Survey! We are pleased to announce our UK sister company, Glory Days UK, has formed a partnership with the League Express for next year’s Rugby League World Cup. Both organisation will work together to provide high standard packages for fans from the Northern Hemisphere travelling to the event being held in Australia, Papua New Guinea and New Zealand. “We are delighted to be in partnership with League Publications and look forward to what promises to be a superb event as well as a memorable experience for all involved.” said Managing Director, David Hardy. “Glory Days have a long established link with Rugby League, having run packages to the Challenge Cup Final, the Magic Weekend, State of Origin and NRL Grand Final since 2001″ . This an exciting new venture for our UK counterparts and we wish both organisation the very best for their future partnership. We are pleased to announce we have formed a world travel partnership with the League Express for next year’s Rugby League World Cup 2017. “We are delighted to be in partnership with League Publications and look forward to what promises to be a superb event as well as a memorable experience for all involved.” said Managing Director, David Hardy. “Glory Days have a long established link with Rugby League, having run packages to the Challenge Cup Final, the Magic Weekend, State of Origin and NRL Grand Final since 2001” . Everyone at Glory Days is excited to be part of this invaluable partnership and look forward to providing quality packages that ensure everyone has a brilliant time. If you are interested in booking a package for this prestigious event please do not hesitate to contact us. We are happy to help with any queries. Pre-register interest for next year’s RHS Chelsea Flower Show Now! Always dreamt of going to the RHS Chelsea Flower Show? Or maybe you’re a regular looking for someone to do all the booking so you don’t have to? We at Glory Days have a number of packages available to suit all needs and desires. Whether it is 3* accomodation or a luxury 5* Hotel, we can ensure that your trip is a special one. For more Information on these packages please do not hesitate to contact us. https://www.glorydays.uk.com/wp-content/uploads/2018/07/glorydays-draft-logo.png 0 0 Natalia Jurcackova https://www.glorydays.uk.com/wp-content/uploads/2018/07/glorydays-draft-logo.png Natalia Jurcackova2015-12-18 13:11:082018-08-30 15:14:21Pre-register interest for next year's RHS Chelsea Flower Show Now! 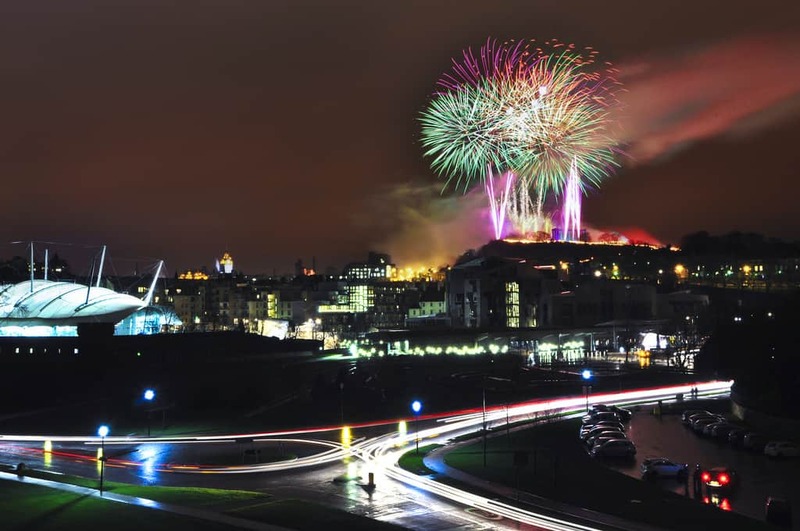 Limited Edinburgh Hogmanay Packages Still Available! Our sister organisation, Edinburgh Hogmanay Travel Office, still has a limited number of packages available. Ranging from £399 – £599 pp, 2 – 3 nights, these last minute packages are not to be missed! We anticipate these will sell very fast. Please get in contact as soon as possible to ensure you don’t miss out. For more information on our Hogmanay Packages please click on the photo above. https://www.glorydays.uk.com/wp-content/uploads/2018/07/glorydays-draft-logo.png 0 0 Steven Horne https://www.glorydays.uk.com/wp-content/uploads/2018/07/glorydays-draft-logo.png Steven Horne2015-12-16 15:11:352018-08-30 15:14:21Limited Edinburgh Hogmanay Packages Still Available! Hogmanay Packages Now Completely Sold Out! We have now completely sold out of packages for this year’s Edinburgh Hogmanay Street Party! However if you are still keen to take part in the festivities, give our office a call and we would be happy to put you on our waiting list for any cancellations. Alternatively you can pre-register your interest for next years celebrations. https://www.glorydays.uk.com/wp-content/uploads/2018/07/glorydays-draft-logo.png 0 0 Steven Horne https://www.glorydays.uk.com/wp-content/uploads/2018/07/glorydays-draft-logo.png Steven Horne2015-12-07 10:25:072018-08-30 15:14:24Hogmanay Packages Now Completely Sold Out! Why is it best to book with an Official Tour Supplier?